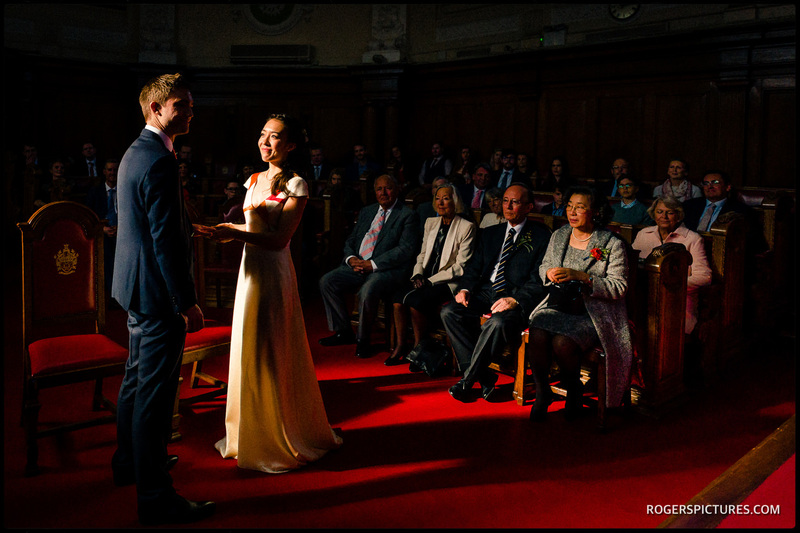 When Cathy and George contacted me about their Fable Holborn wedding photography, they were clearly interested in natural, non-posed documentary wedding photography. They didn’t want any posed couple portraits at all, and only a handful of group pictures. This is exactly what I love, and is a perfect fit for the kind of wedding photojournalism that I love producing. Of course, if couples do want some portraits, that’s not a problem. But when I get clients who would rather I spend as much of my time as possible capturing the essence of their wedding and the guests, well, I know we’re going to be a great fit! I was lucky enough to have talented documentary wedding photographer Mona Ali with me at this wedding. Working with another photographer is a real bonus. We have a very similar approach, but obviously see the world in a different way. This makes for a varied set of pictures, that work well together. It also means that we get continued documentary coverage during the group photos. On this occasion, there were two London busses from the ceremony at Islington Town Hall, so we were also able to photograph guests on both busses. After the ceremony, we were all delivered to The Fable Restaurant in Holborn. This was my first time shooting a wedding at this London venue, and it was an absolute pleasure! The modern architecture blends in well with the surrounding 19th Century buildings in Holborn. It gave us both plenty of scope for our style of documentary photography! After the meal and speeches, the newly-weds cut the wedding cake before taking to the dance floor. Our coverage came to an end as the party started to get swinging. Check out some of our favourite images in the slideshow above. 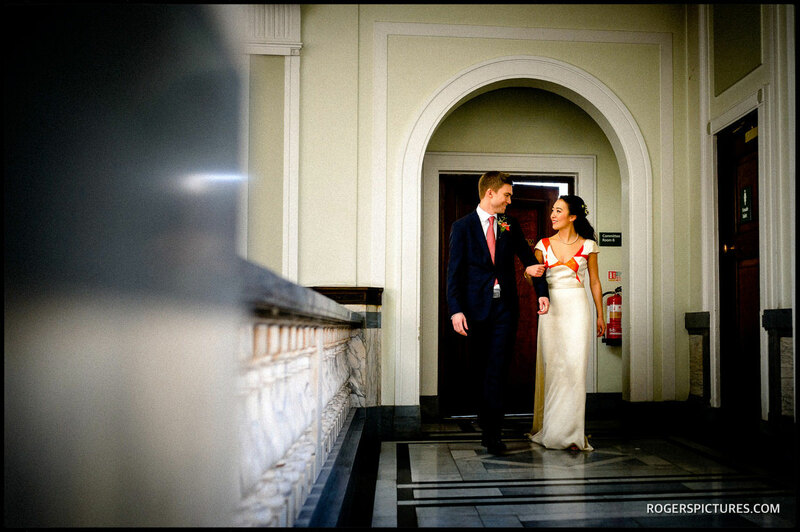 Then have a quick look at this other London Town Hall Wedding, or maybe some Orangery, Kensington Palace wedding photography.